Dr. Katherine Riggert, D.O., M.S. Dr. Katherine Riggert, D.O., M.S. is an Osteopathic family physician board-certified in Family Medicine, Sports Medicine and Osteopathic Manipulative Medicine. She graduated from the University of New England College of Osteopathic Medicine, then completed a Family Medicine residency at Middlesex Hospital in Connecticut, followed by a Sports Medicine fellowship at the University of Massachusetts. She is an Assistant Professor at the University of Massachusetts Medical School. Prior to private practice, she served as faculty for the University of Massachusetts Sports Medicine Fellowship & Fitchburg Family Medicine Residency and Osteopathic Manipulative Medicine Clinic. Dr. Riggert spent 10 years as a competitive cyclist at the international level, competing in Europe and throughout North America. She was a member of the U.S. National Cycling Team and won two national championship titles. This experience deeply influenced her interest in the integration of mind, body, and spirit, and ultimately led her to osteopathic medical school. 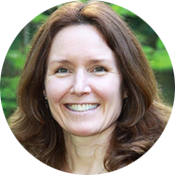 She practices traditional osteopathy and uses both conventional and integrative medicine. She treats children and adults for acute and chronic issues. She maintains balance in her life through meditation, Qi Gong, cycling and running. Dr. Riggert has served as both an officer and trustee of the Massachusetts Osteopathic Society, and is a member of the Osteopathic Cranial Academy and the American Medical Society for Sports Medicine. She presented Osteopathy and the Treatment of Lyme Disease at the Central Mass Lyme Foundation Annual Conference in 2016. She is the author of the educational pamphlet, Osteopathic Treatment of Concussion (2014). Dr. Riggert has served as the Medical Director for multiple internationally sanctioned cycling events, and has provided medical care to athletes at numerous local, collegiate, professional and international events, including the Boston Marathon. Osteopathy and the Treatment of Lyme Disease, Central Mass Lyme Foundation Conference, 2016. University of Massachusetts Medical School Pain Management Interclerkship Workshop Leader, Worcester, MA, 2008-2013. Sports Concussion Update. Hospital Grand Rounds, UMass/HealthAlliance Hospital, Leominster, MA, 2010. Heat Illness. Sports Injuries in the School-Aged Athlete: Diagnosis, Treatment & Prevention, Milford Regional Medical Center, MA, 2009. Female Athlete Triad, Sports Injuries in the School-Aged Athlete: Diagnosis, Treatment & Prevention, Milford Regional Medical Center, MA, 2009. Sports Injuries and the Weekend Athlete. Marlborough Hospital, Marlborough, MA, 2009. Neck Pain and Paresthesias in a Football Player. Poster presentation. American Medical Society for Sports Medicine Annual Meeting, Las Vegas, NV, 2008. Loss of Bowel Control in a Field Hockey Player. American College of Sports Medicine Annual Meeting, Indianapolis, IN, 2008. Low Bone Mineral Density in Male Cyclists. University of Massachusetts/University of Connecticut Sports Medicine Fellowship Collaborative, Storrs, CT, 2008. Efficacy of Eccentric Exercise for the Treatment of Tendinopathy: A Systematic Review. University of Massachusetts/University of Connecticut Sports Medicine Fellowship Collaborative, Worcester, MA, 2008. Rib Pain in a College Baseball Pitcher. New England American College of Sports Medicine Annual Meeting, Providence, RI, 2007. Skin & Sport: Common Conditions in Athletes. Family Medicine Grand Rounds, UMass Memorial Hospital, Worcester, MA, 2007. Overtraining in Athletes. University of Massachusetts/University of Connecticut Sports Medicine Fellowship Collaborative, Storrs, CT, 2007. Osteopathic Treatment of Concussion, Pamphlet, Massachusetts Osteopathic Society. Grant funding provided by Advocates for the American Osteopathic Association, 2014. Riggert, K, Chapter Reviewer, ACSM’s Sports Medicine: A Comprehensive Review. O’Connor FG, ed. Lippincott William & Wilkins. 2012. Riggert,K, Preventing Heat Illness During Exercise, Vital Signs, Vol. 17, Issue 6, Summer 2012. Massachusetts Medical Society. Riggert K, Athlete With a Stress Fracture, Sports Medicine Consult, Busconi B & Stevenson JH, eds. Lippincott, Williams & Wilkins 2009. Hoth P., Riggert K, Back Pain in the Athlete, Sports Medicine Consult, Busconi B & Stevenson JH, eds. Lippincott, Williams & Wilkins 2009. Riggert KM, Stevenson JH. ACL Injury, Griffith’s 5-Minute Clinical Consult, 2010. Domino F, ed. Pub Lippincott, Williams & Wilkins: 2009. Riggert KM, Stevenson JH. Knee Pain, Griffith’s 5-Minute Clinical Consult, 2010. Domino F, ed. Pub Lippincott, Williams & Wilkins: 2009. Riggert, KM, Stevenson, JH, Rouzier, P. Loss of Bowel Control in a Field Hockey Player. Medicine & Science in Sports & Exercise 40;5, pp S151, 2008. Riggert KM, Stevenson JH. Knee Pain, Griffith’s 5-Minute Clinical Consult, 2009. Domino F, ed. Pub Lippincott, Williams & Wilkins: 2008. Riggert, KM Stevenson JH. ACL Injury, Griffith’s 5-Minute Clinical Consult, 2009. Domino F, ed. Pub Lippincott, Williams & Wilkins: 2008.